The measuring of the finalists with ye official measuring sticke took place on Saturday 24th August 2013. 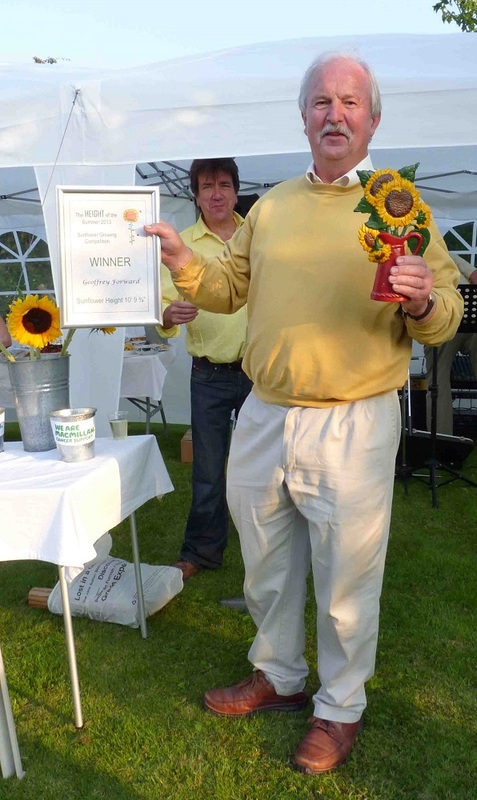 The Winner Announcement was made on Sunday 25th August 2013 at Shakespeare House, Purton. This was followed by food, drink and live music in the garden. A BIG Thank you to Tony Moseley for providing the great music and supplying the percussion instruments for others to join in. Thank you to everyone who contributed to the drinks and buffet. 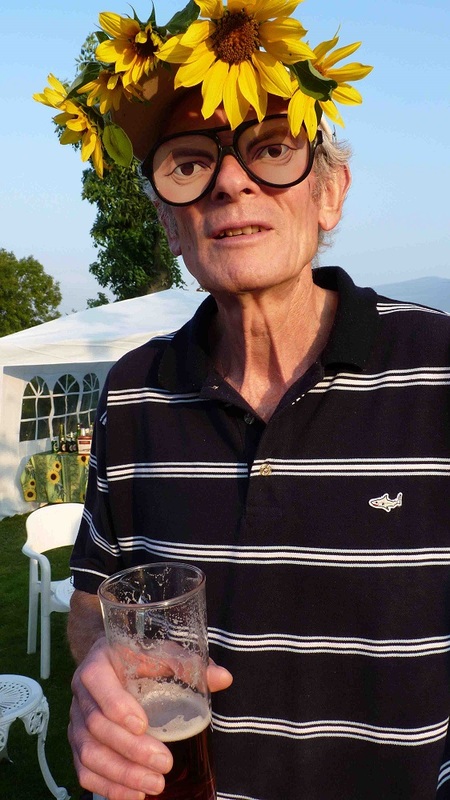 A good time was had by all and more money was raised for Beryl's Macmillan Charity. Jan and Chris Pain 9' 7"
Click on image to enlarge Something decidedly fishy about this one !! Tony and Iona Moseley 26' something� ????? 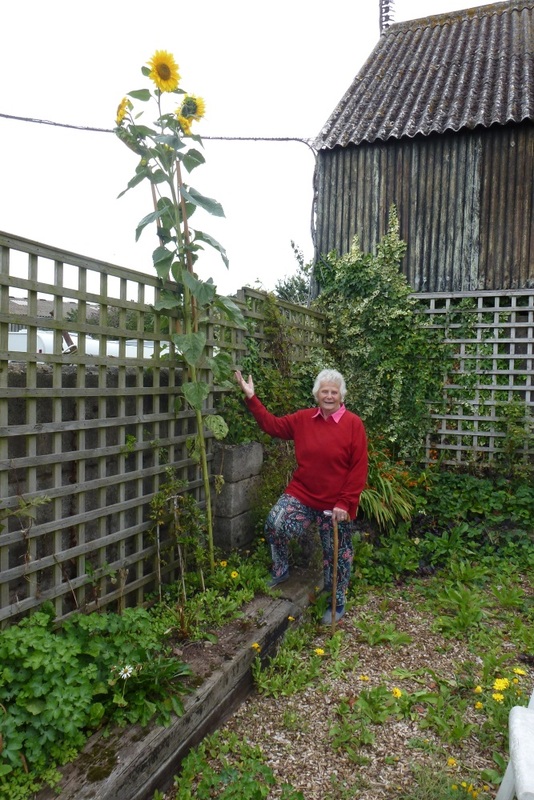 Beryl's poor sunflower had a very slow start! The winds off the Severn weren't very kind to her! She has however got a lovely face! And the bees love her! Gill says she may not be the biggest but she is beautiful !! Just proving size isn't everything !! 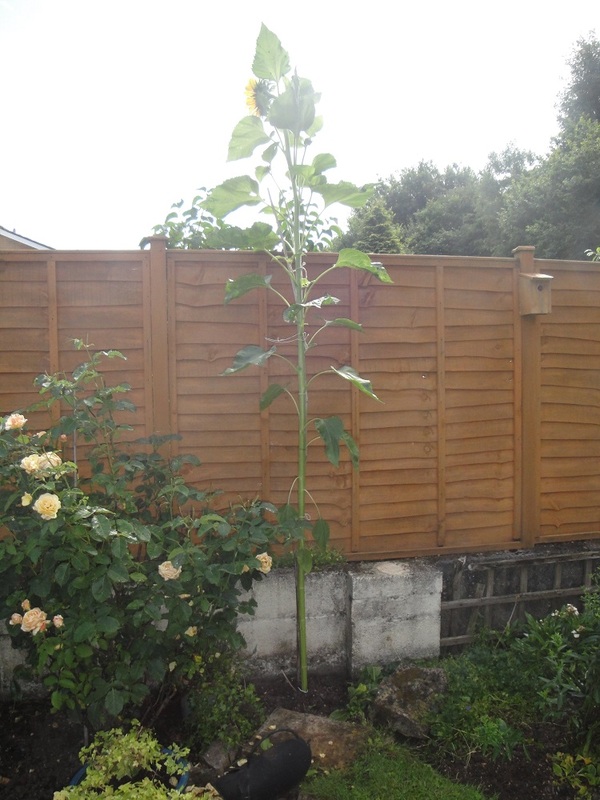 Now 9 foot tall and big flower open. Lara and Olivia will be delighted to see it on their return from Ireland. He is just under 4ft tall ! Height is now 8 foot 8 inches. They have the emerging shape of the large central flower and 7 smaller flowers . 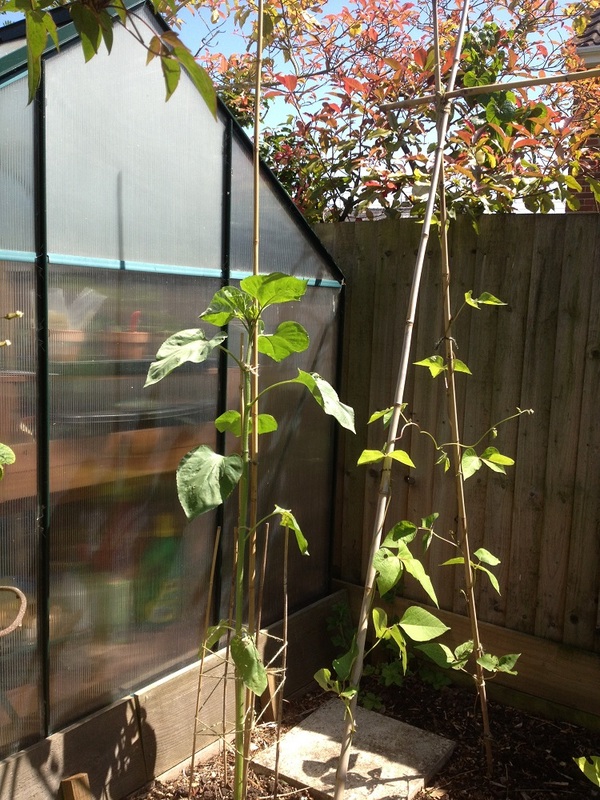 In the immortal words of SClub7 their little sunflower has decided to "reach for the stars", and has now outgrown the greenhouse and runner beans! 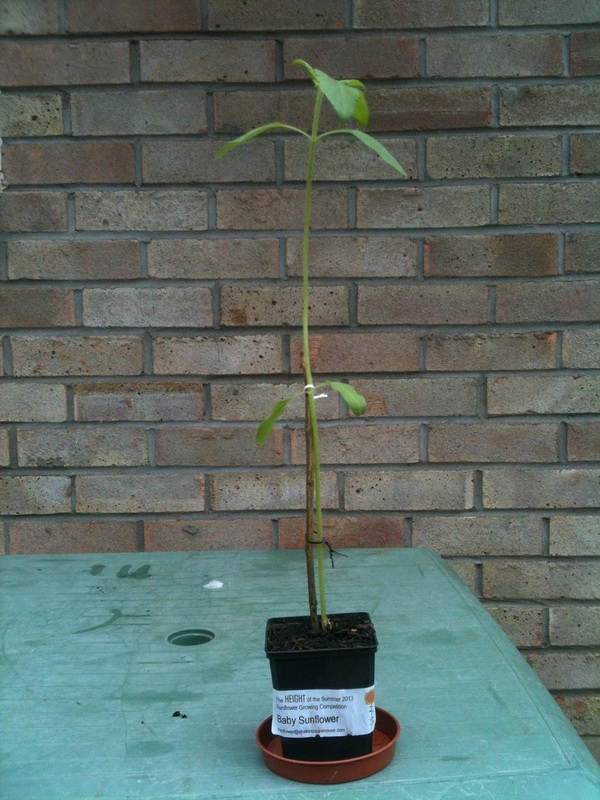 Having planted out the little plant he was rudely buffeted by north winds which severely stunted his growth! As a result he seems to have developed more than one head!! The red rose to the right is Darcy Bussell who Buffet seems to have taken quite a shine to. 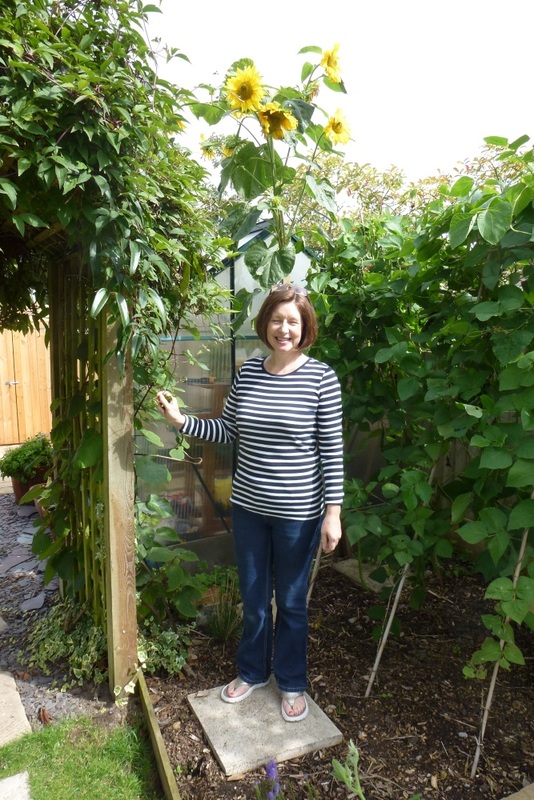 Growing happily in the sunshine! 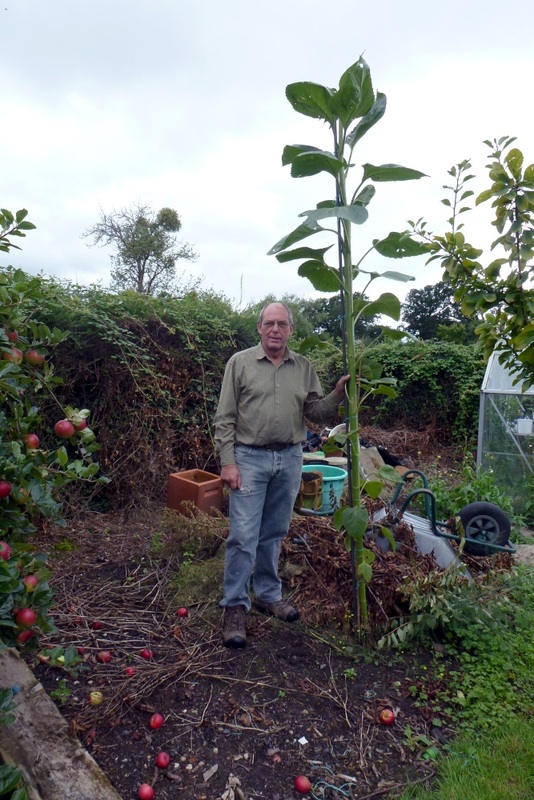 Getting bigger and bigger just like the magic beanstalk. Soon he will be able to climb up to visit the giant's castle. Is Becky's is the biggest or is it Jan's. I think we should be told! Having a race with the runner bean. Taken when they weren't looking on a hot Sunday evening. It has a nice little ribbon! 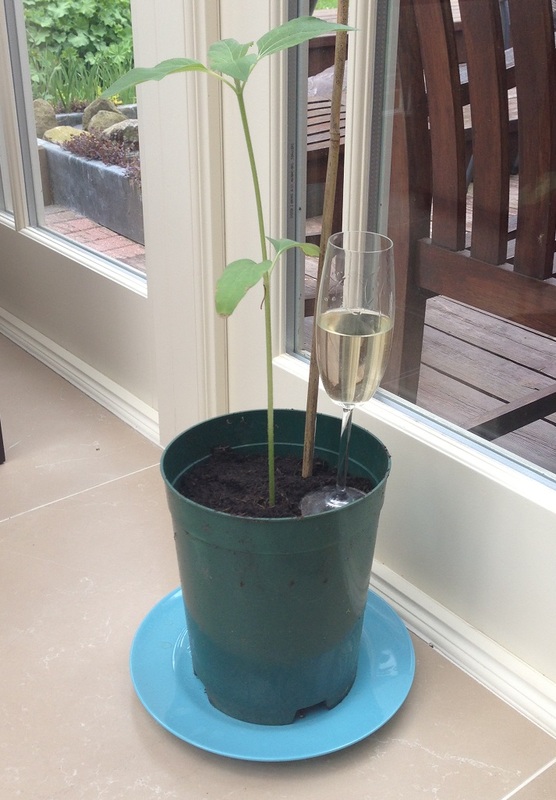 The prodigal sunflower .. Jan left it for dead. 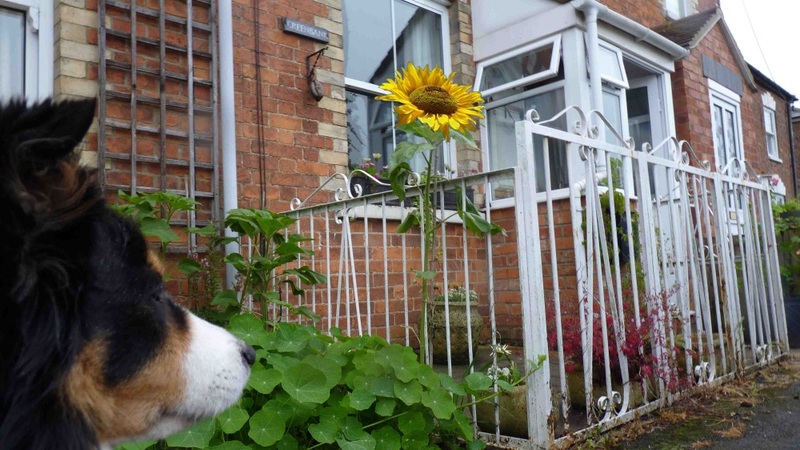 Rather neglected and slightly eaten but determined to survive despite its owners neglect! Nancy is showing off .. but could she be real. A bit too early for such a big flower perhaps! 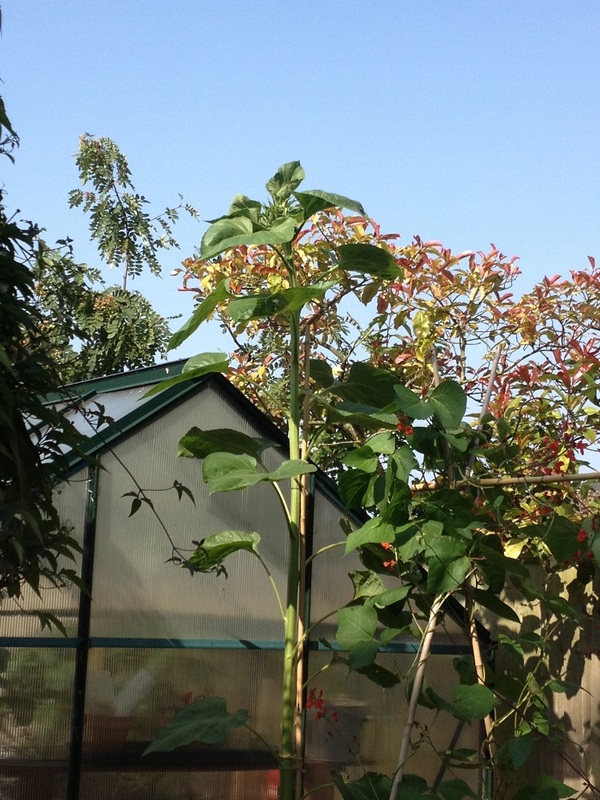 Their baby sunflower has reached a milestone, it now measures 3ft and is thriving nicely behind the greenhouse. They certainly have a nice big pot! Still living in the house as he doesn' like the look of the windy weather outside. 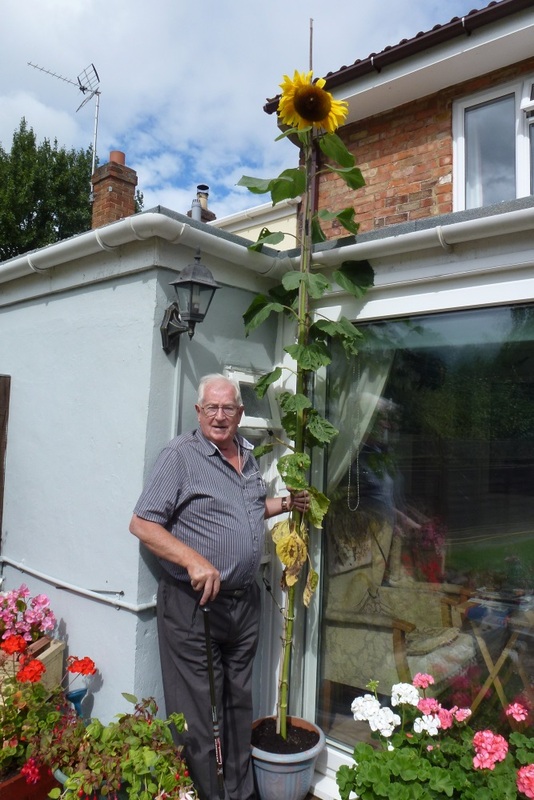 Click on image to enlarge The Moseleys have a big one! 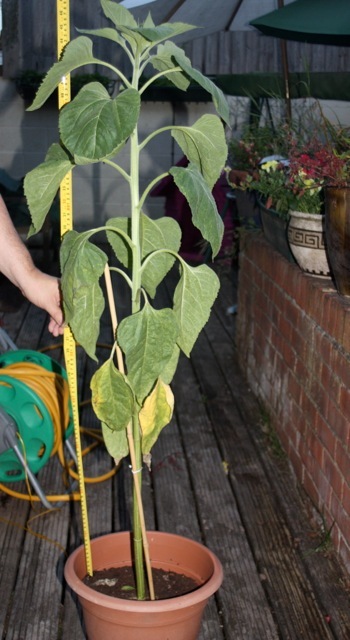 It looks as if it will outgrow its pot fairly soon. Maybe time to subject it to the hazardous outdoor life in the garden. 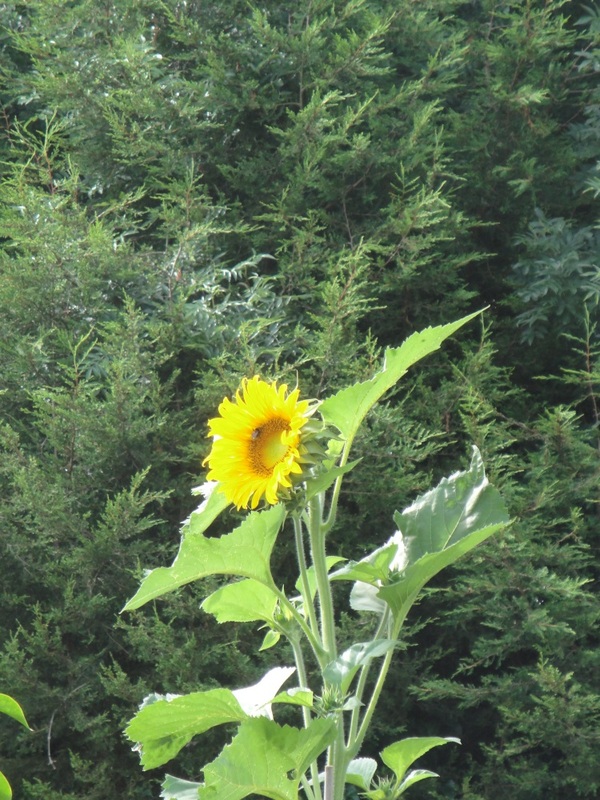 Sarah replanted her little sunflower plant outside and unfortunately, somehow, it got twisted and snapped off. 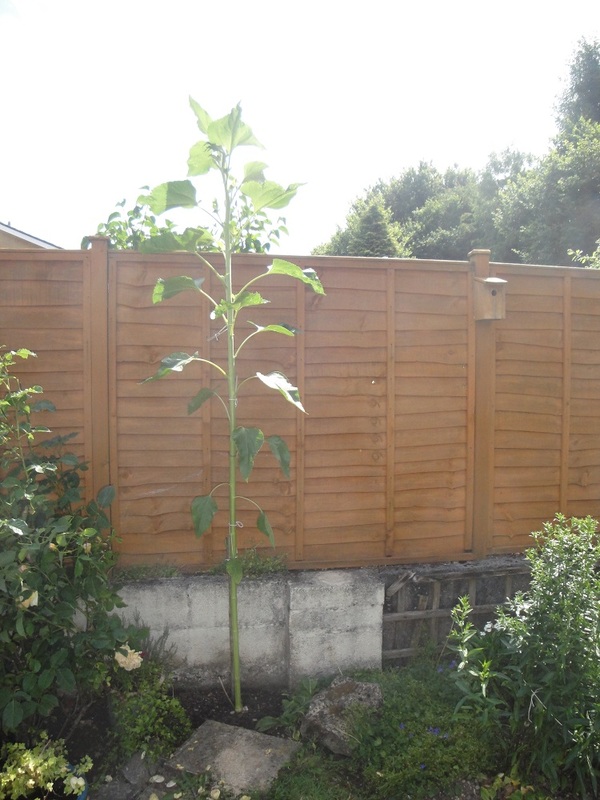 It had a very happy life (albeit a short one) growing next to some tomato plants and it was very well looked after. RIP little one! 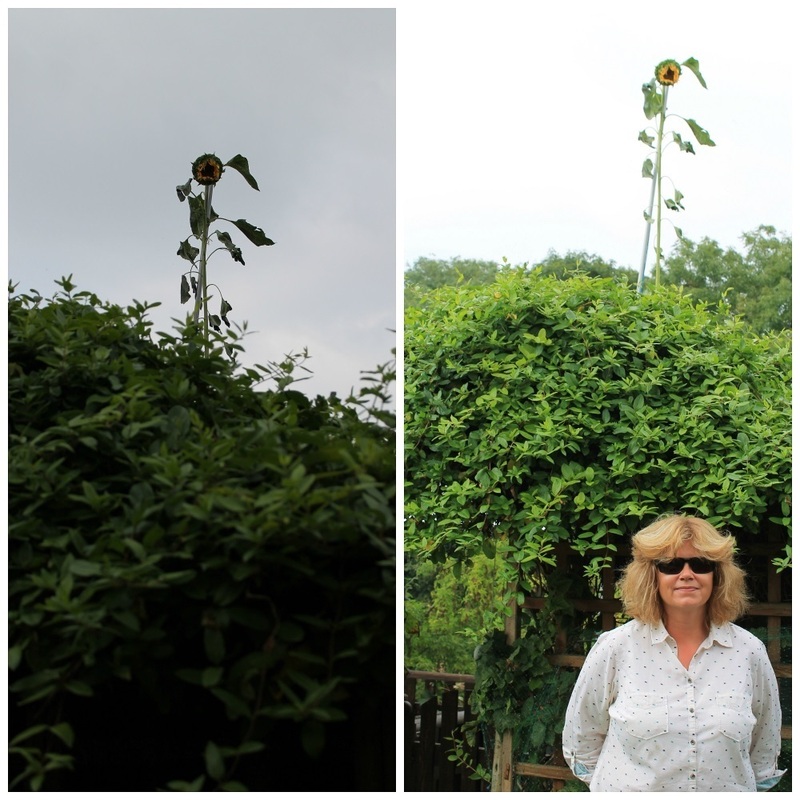 Click on images to enlarge John and Kath Hale's sunflowers photographed on Thursday 6th June. They are enjoying the healthy outdoor lifestyle in the June sunshine and getting stronger by the hour. Looks like they are protected by the gnome guard but one of them has lost his head (maybe he went to IKEA)! Could they be the ones to watch? 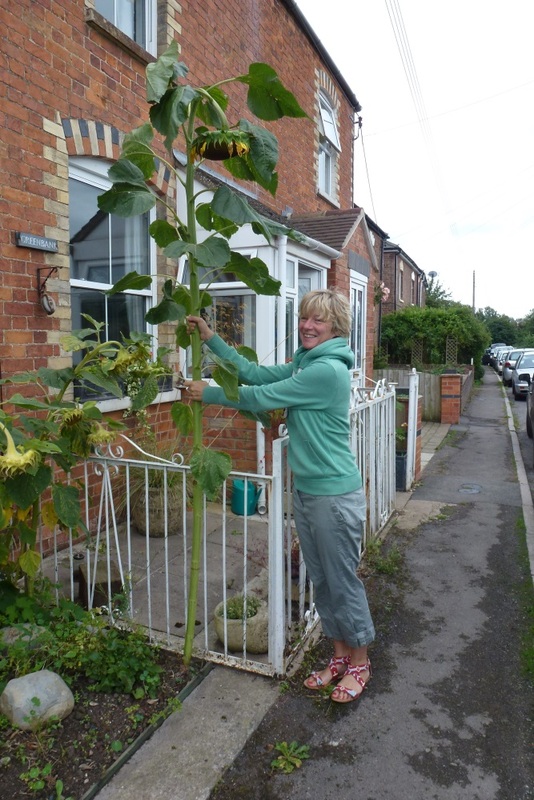 Click on image to enlarge Sue and Ian Leech's sunflower photographed on Monday 27th May. It's still basking in the warmth of the conservatory and hasn't been exposed to the rigours of outdoor life yet. Apparently it likes a sip of something fizzy. Click on image to enlarge A late developer! 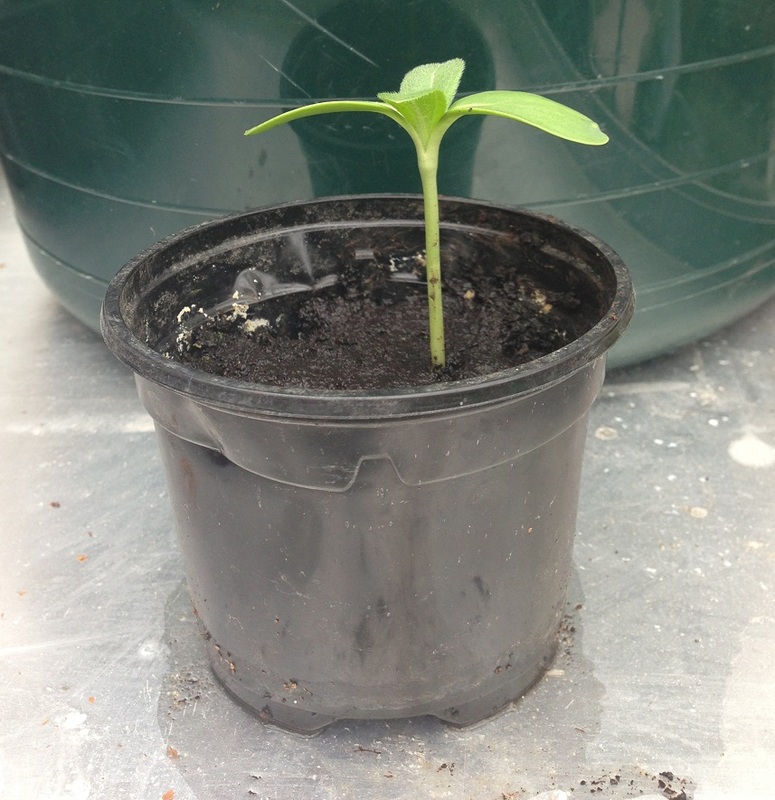 Of the five seeds that didn't germinate in time for the start of the competition we suddenly have a new arrival. It's still only about 5cm tall but a nice strong little plant. If anyone would like to take it on and nurture it there is still a chance it could go on to be bigger and stronger than it's older siblings. 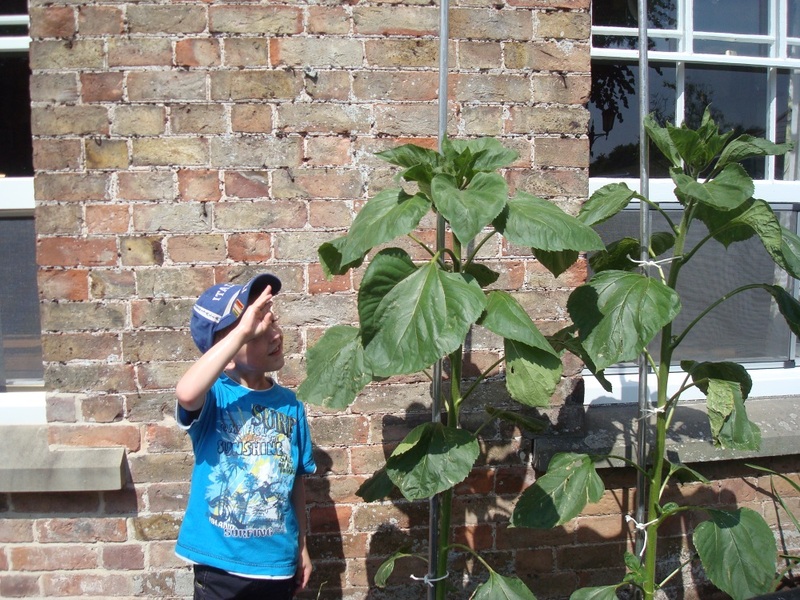 All the baby sunflowers have been sold and �100 has been raised for the Purton charities. There are 48 participants in the growing competition and we look forward to getting your news and pictures. We had a good turnout at The Purton Flower and History Festival despite the cold and wet weather. 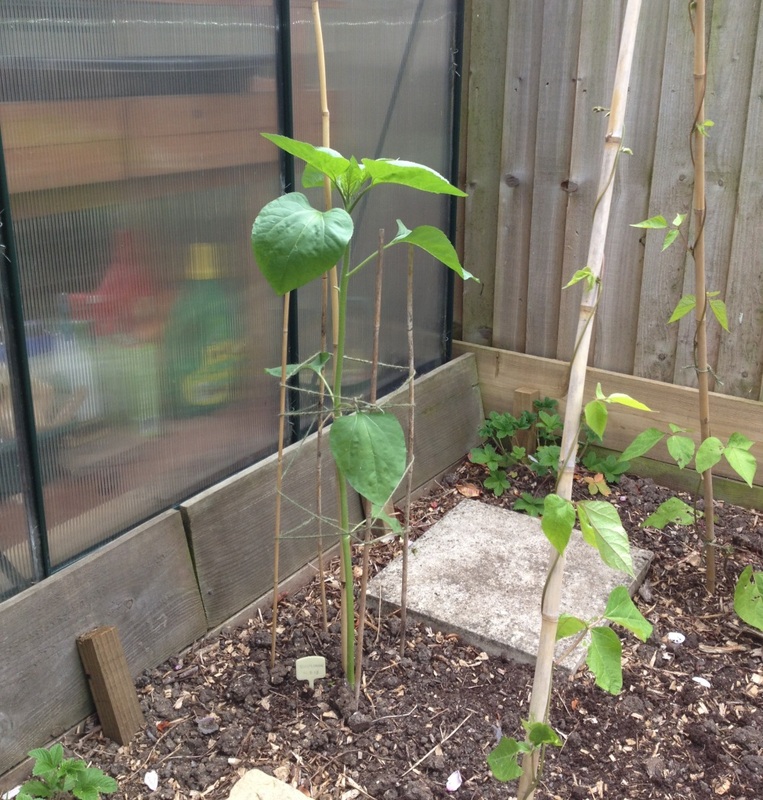 Your baby sunflower has been grown in the greenhouse so will need to be hardened off before planting outside. 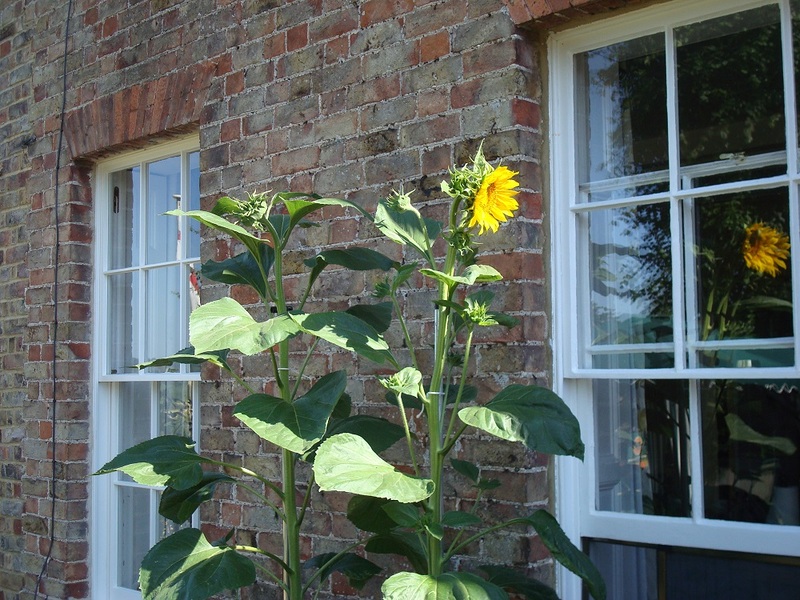 Sunflowers like a sunny position and preferably not too much wind. 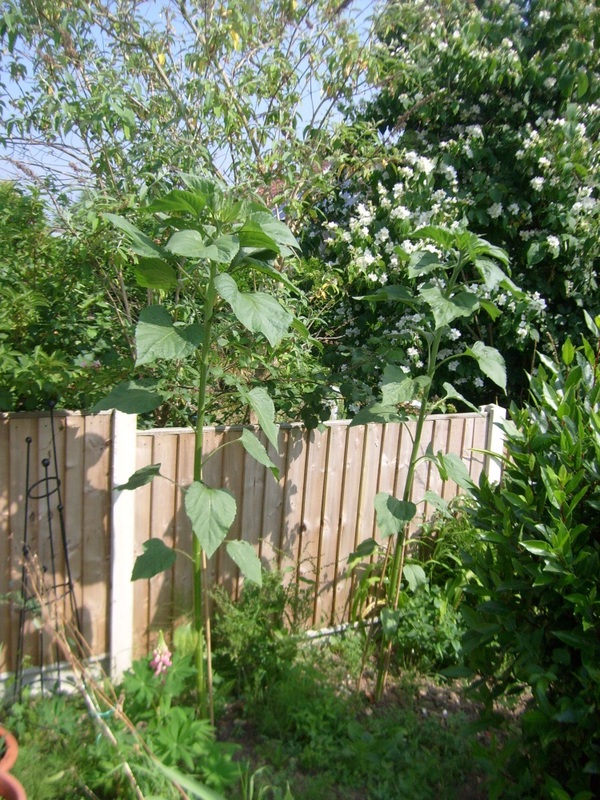 Preventing them from falling over is one of the greatest challenges of growing them. 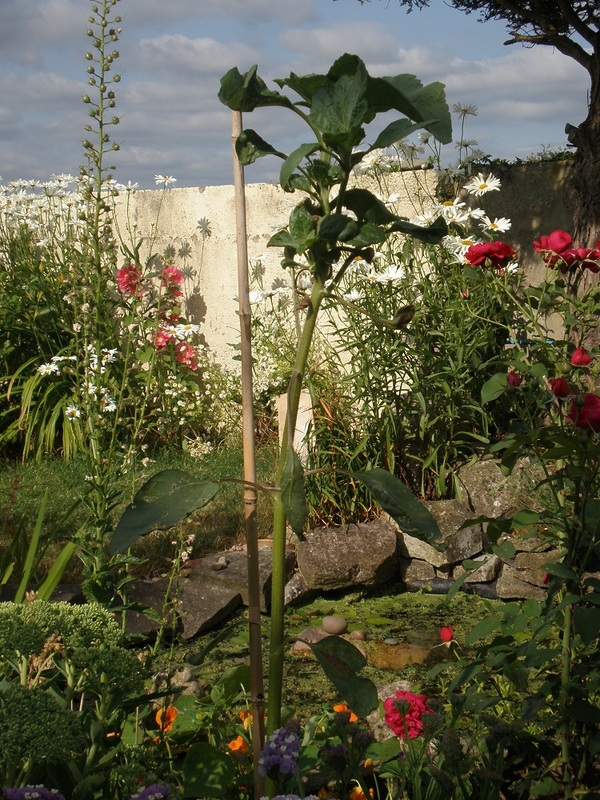 Sunflowers don�t like drying out and they can soon start to wither. Make sure they are well watered; each watering should aim to reach its roots, rather than just touching the surface. 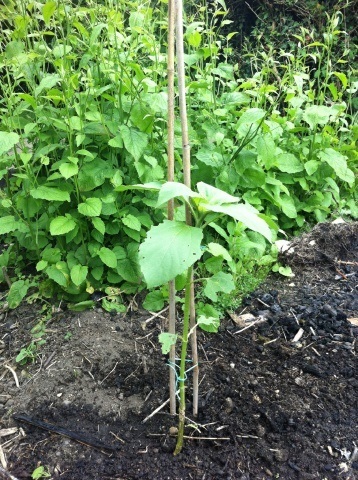 Sunflowers enjoy a rich well fed soil. 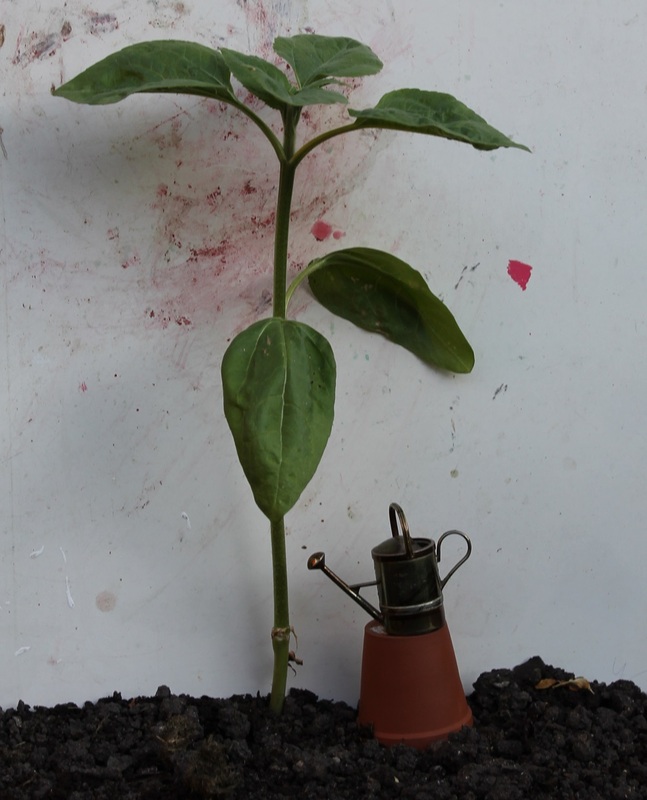 If going for height, use a nitrogen based fertiliser, switching to potash (tomato food) as the buds begin to appear.